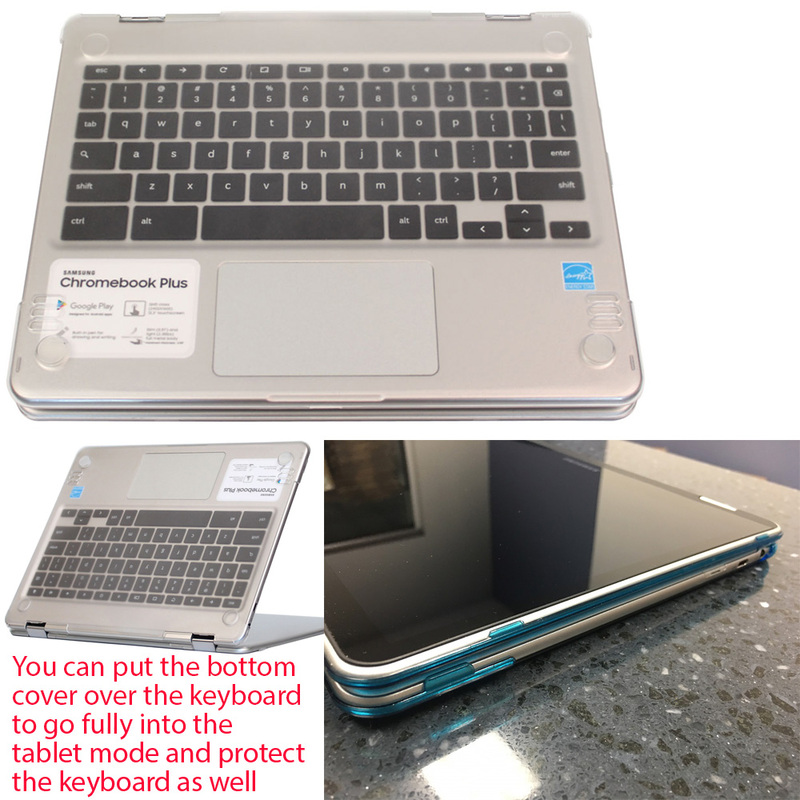 Made of USA-made high-quality polycarbonate material, which is shatter-proof and will protect your 12.3" Samsung Chromebook Plus XE513C24 or Pro XE510C24 laptop all around. The ONLY Samsung Chromebook Plus hard case with foldable feet to let you type more comfortably. 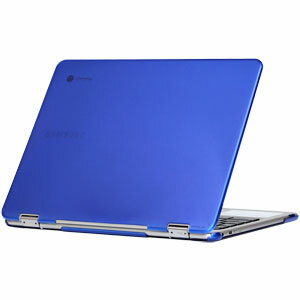 It also helps to prolong your Samsung Chromebook laptop's life with BETTER heat ventilation from features like retractable feet and more wider ventilation slots. 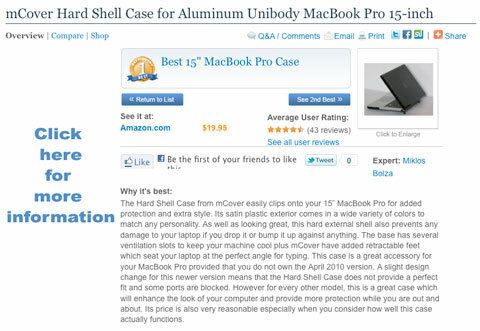 2-piece light-weight(8.6 oz or 243 g) shell easily snaps on and off. 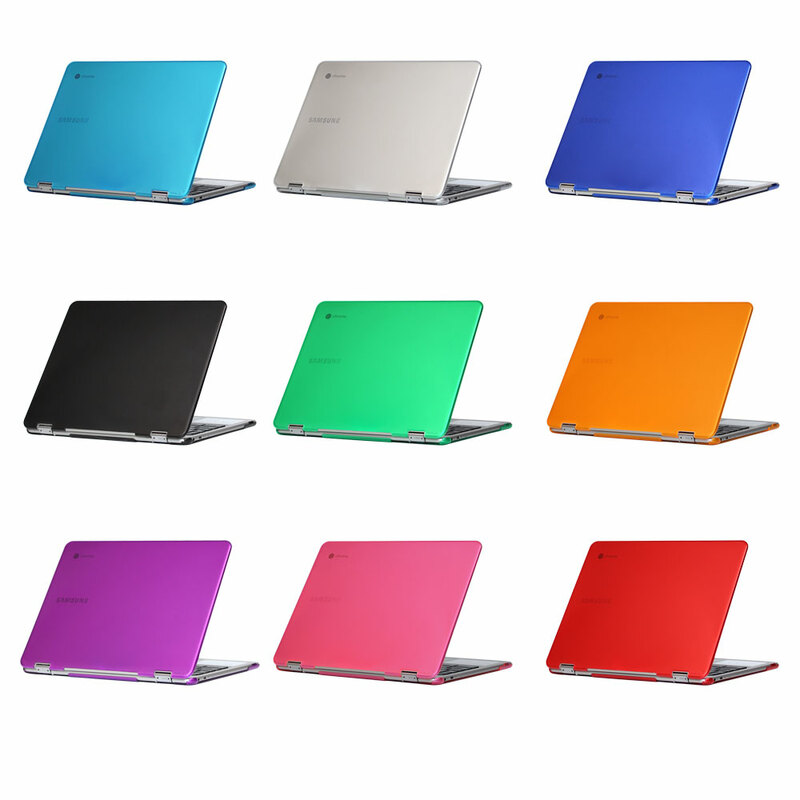 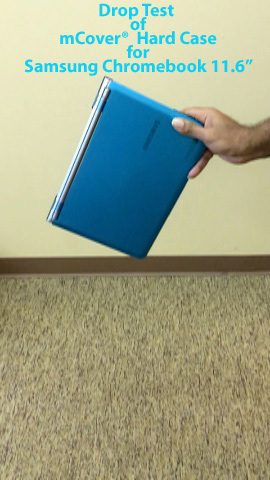 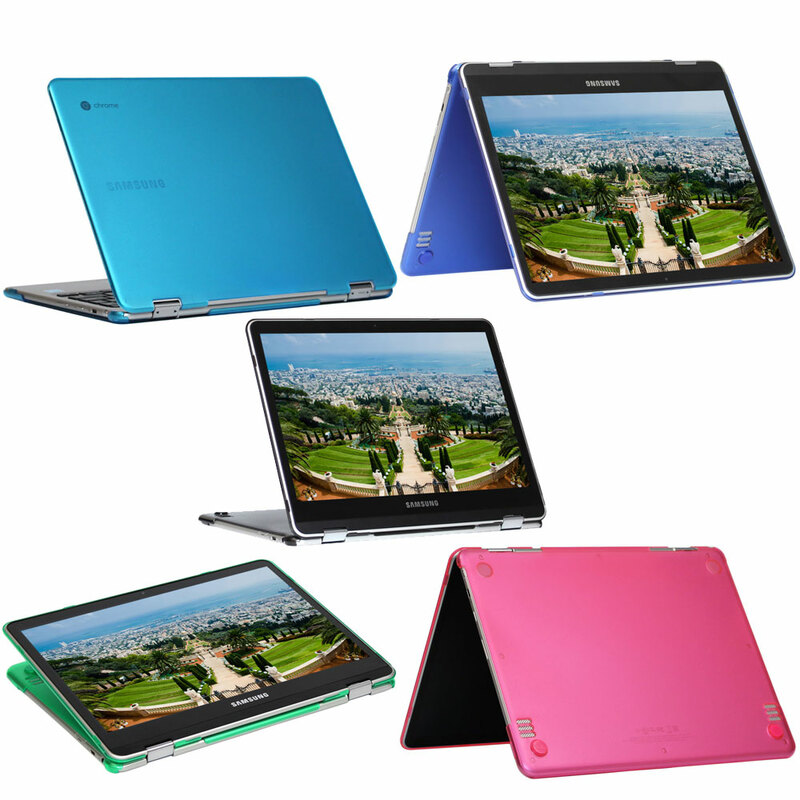 Please visit this link if you have the Samsung Chromebook 11.6" XE303C12 model. 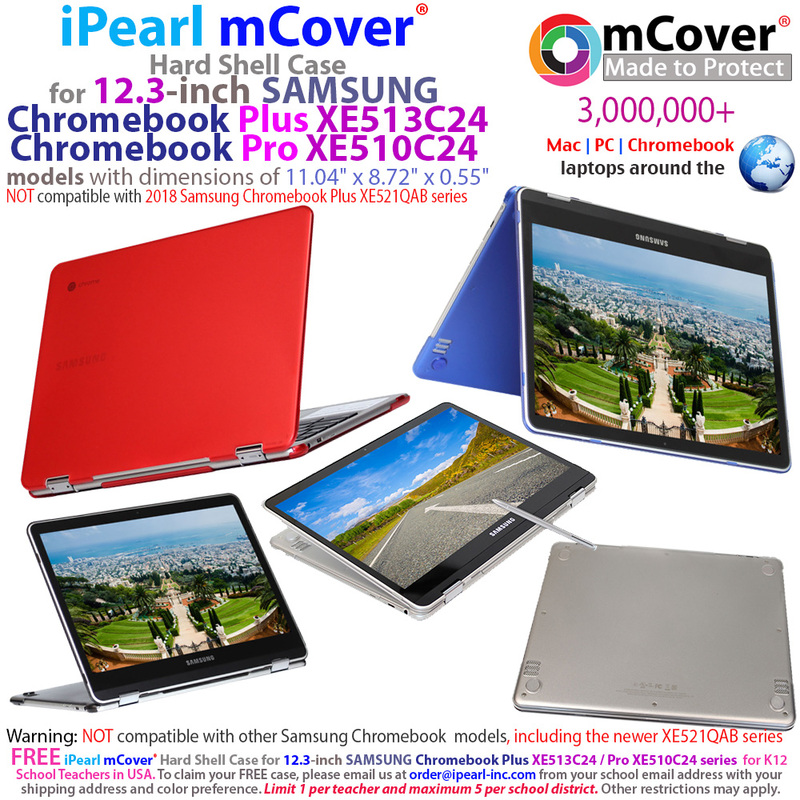 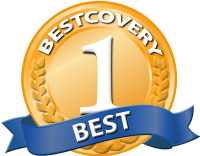 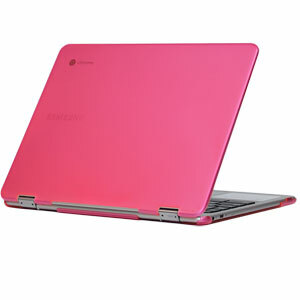 Please visit this link if you have the Samsung Chromebook 2 13.3" XE503C32 model. NOT compatible other Samsung laptops, like Series 5 NP530U3B / NP530U3C / NP535U3C models. 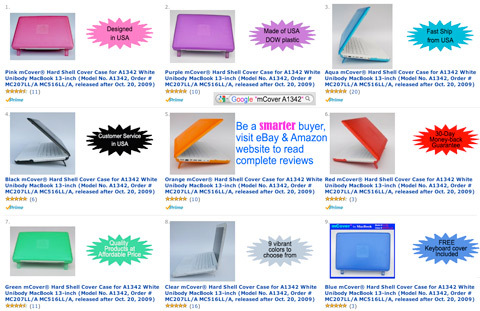 We have separate cases for the 13-inch Series 5 NP530U3B / NP530U3C / NP535U3C series at this link. NOT compatible with Samsung Series 5 14-inch NP520U4C / NP530U4B / NP530U4C / NP535U4C models.